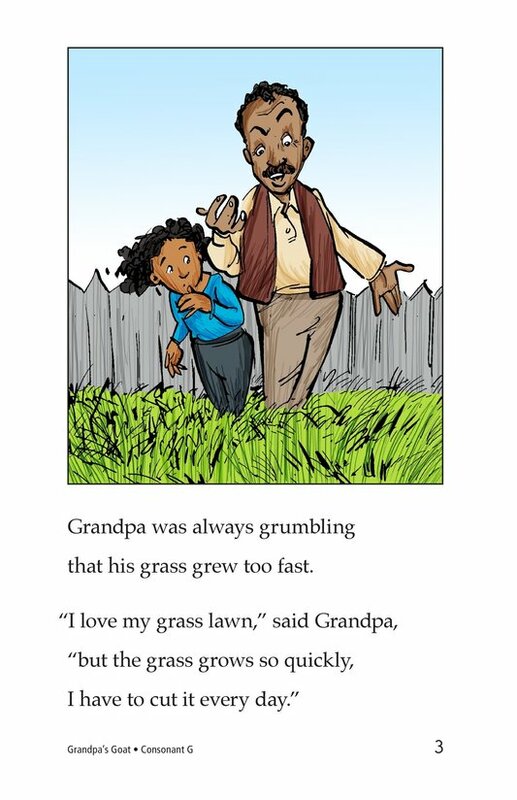 Grandpa is tired of mowing his lawn. 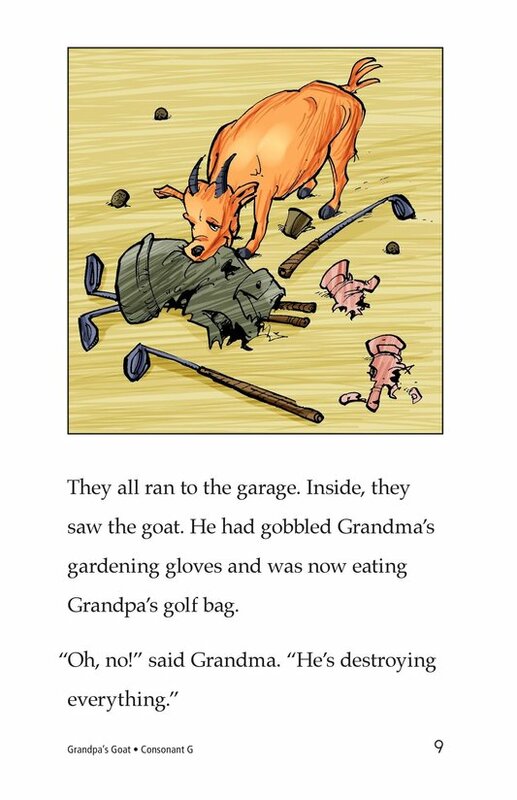 It is a terrible chore. 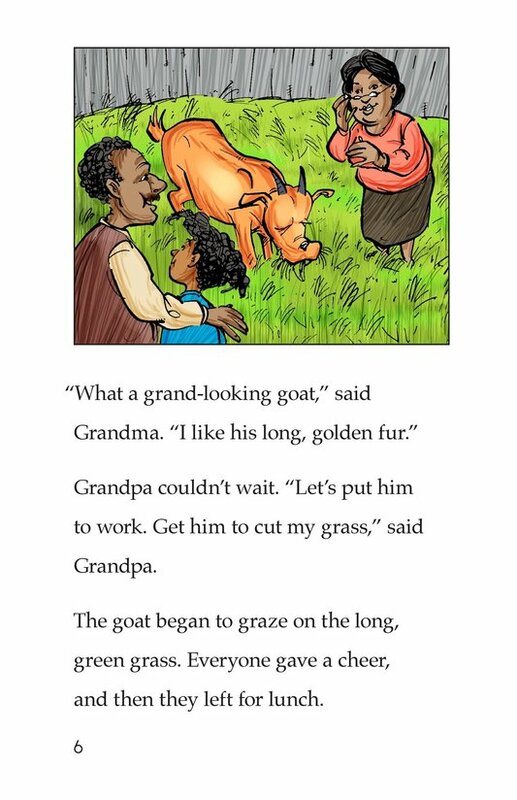 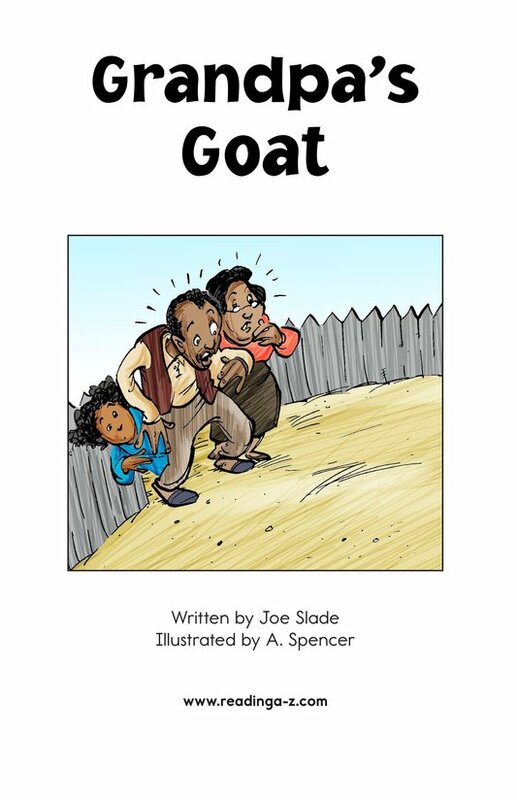 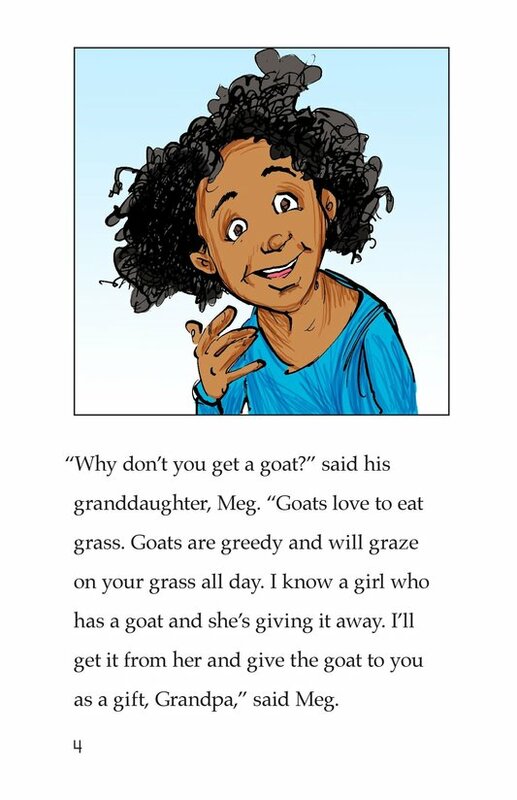 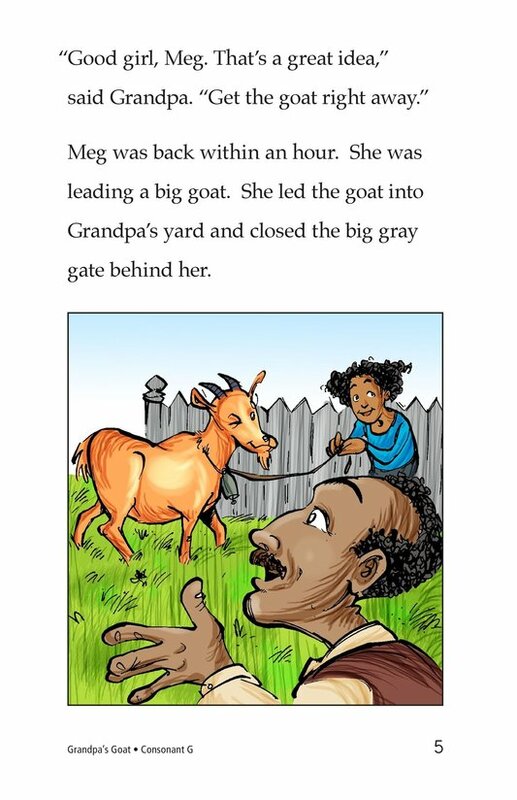 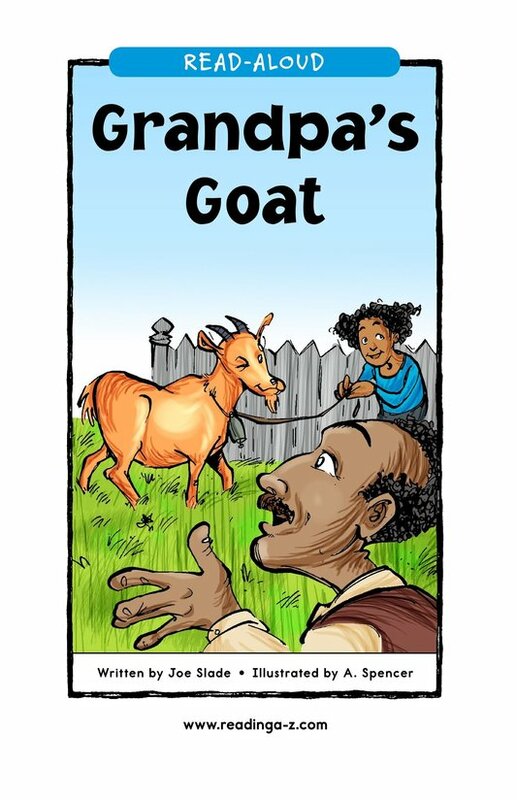 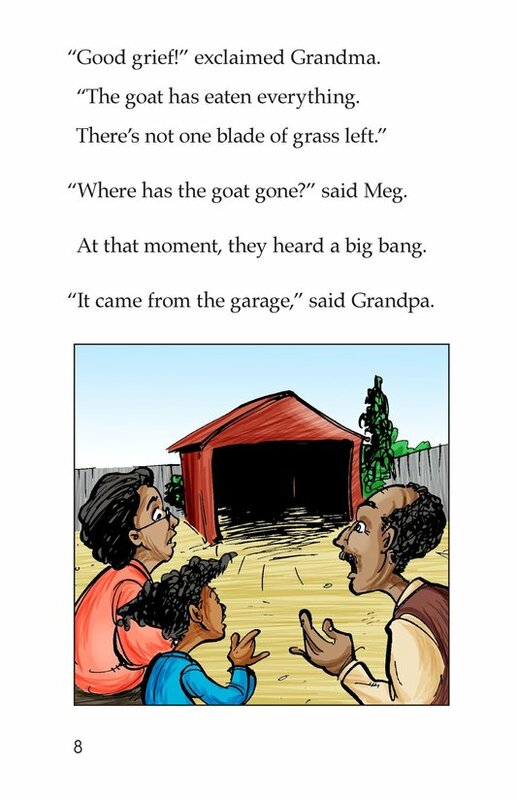 So his granddaughter, Meg, gets a goat to eat his grass and keep it trimmed. 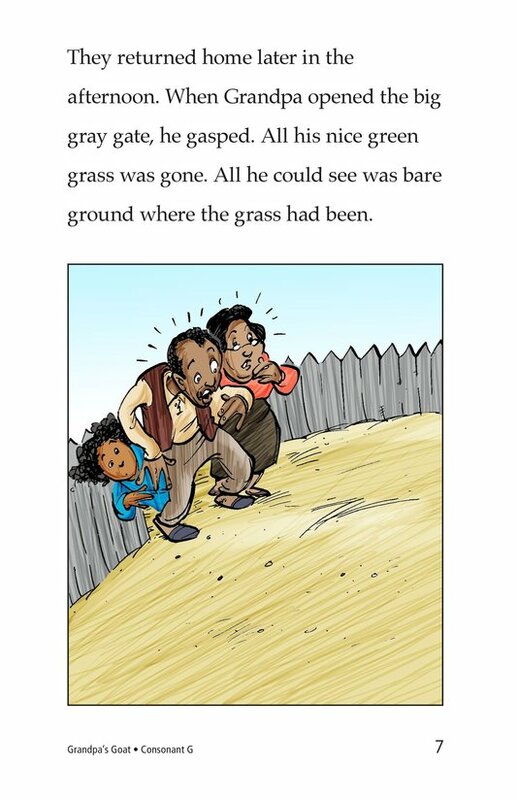 But the idea does not turn out as planned. 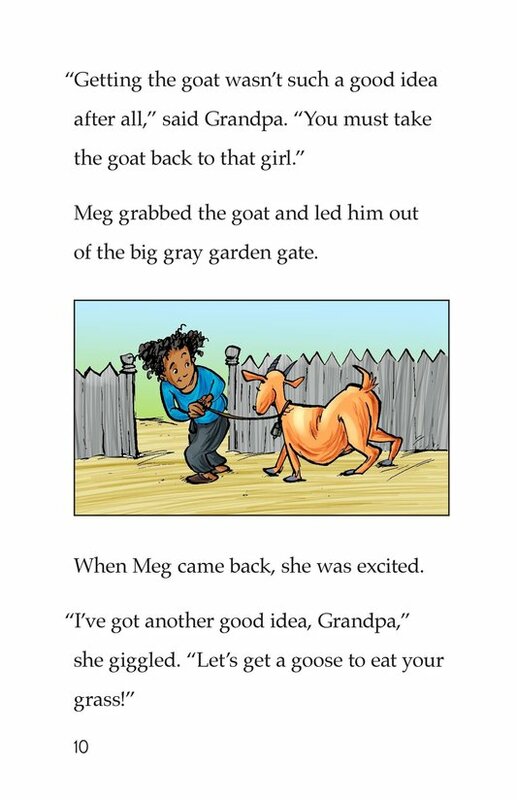 The goat's big appetite leads to no grass at all on the lawn and Meg has to give the goat away. 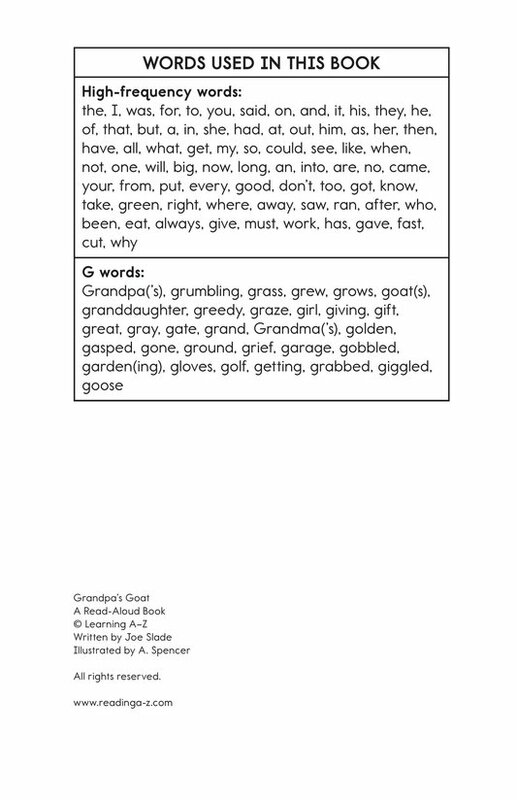 Introduce and expose students to the /g/ sound represented by the letter g.